Every dive bar worth its salt has a few bags of dusty chips hanging somewhere behind the bar. That's because salty snacks and beer are a match made in a heavenly world where no one is concerned about health. It should follow that some breweries make their own salty snacks which pair perfectly with their brews. St. Erik's brewery in Sweden has done just that. There's a catch, though. 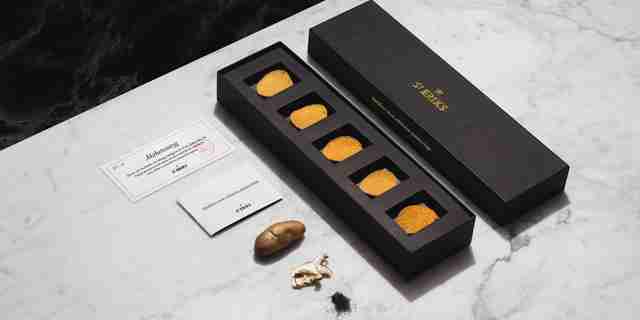 They believe their beers deserve the finest accompaniment, and so they've made some of the world's fanciest potato chips. The chips were just released and sold out instantly. That wouldn't be surprising except the chips come with a $56 price tag and the box (a bag isn't good enough for these chips) contains only five chips. The price tag isn't just because being expensive makes them seem fancy. 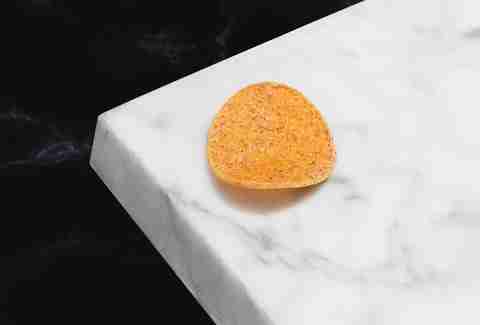 The chips, intended to be paired with St. Erik's India Pale Ale, feature rare Nordic ingredients and each chip is handmade with a recipe crafted by the Swedish National Culinary Team and chef Pi Le. The ingredient list includes matsutake mushrooms, truffled seaweed, India Pale Ale wort, crown dill, Leksand onion, and Ammärnas-region almond potatoes. Each of the ingredients is in scarce supply. For the average chip muncher, the extra special ingredients might not cancel out the dearth of chips in the package. 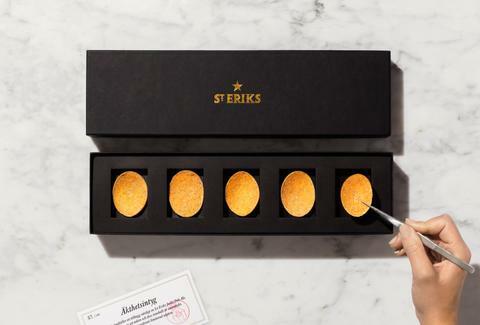 Billed as "the world's most exclusive chip," St. Erik's made just 100 boxes, which would be part of the reason it was so easy for them to immediately sell out. The brewery hasn't announced if there will be another run of the pricey chips, but it would seem that the world has the ...ahem... appetite for another round.